Danfoss PVG 32 is a pressure compensated hydraulic load-sensing valve, designed to give maximum flexibility. It is available in many versions, from a simple load sensing directional valve to an advanced electronically-controlled, load independent proportional valve. The modularity of the PVG 32 makes it possible to build a valve group precisely to meet your requirements. Regardless of the configuration specified, the compact external dimensions of the valve remain unchanged. Advanced electronic control can be achieved with Danfoss PVE electrohydraulic actuators. By using PVG load-sensing technology in combination with a variable displacement pump, it’s possible to achieve a significant reduction in energy loss. Neilson Hydraulics is a sales partner for Danfoss Power Solutions (formerly Sauer Danfoss). Neilson Hydraulics supplies Danfoss PVG 32 Proportional Valve Components, including Danfoss Inlet Sections, Danfoss Valve Bodies & Covers, Danfoss Solenoids (Danfoss PVEA, Danfoss PVEH, Danfoss PVEM & Danfoss PVEO Actuators), Danfoss End Plates, Danfoss Bolt Kits, Danfoss Mechanical Handle Assembly and Danfoss Standard Flow Control Spools. We have been a Danfoss Distributer in the UK for over 30 years and have excellent technical knowledge of the range. Danfoss OMS, OMT and OMV are offered as wheel motors. The recessed mounting flange on these wheel motors makes it possible to mount a wheel hub so that radial loads are supported halfway between the tapered roller bearings in the motor and thereby ensure optimum bearing capacity. A wheel motor also gives a very compact design. 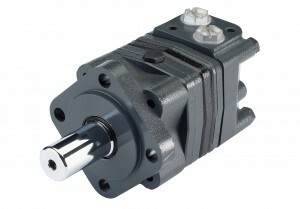 The combination of motors and gears gives smooth and even operation at very low speeds and high torques. 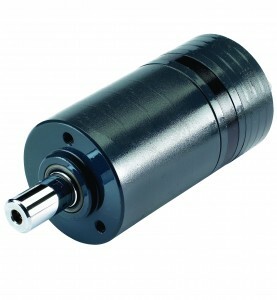 OMS, OMT and OMV short version motors are offered for this combination. These motors can be used with wheel gear and many other combinations. Neilson Hydraulics supplies Danfoss Orbital Motors– to view the full range visit: https://www.neilson-hydraulics.co.uk/store/neilson-hydraulics/danfoss-orbital-motors or call the team on 01709 821 002. Neilson Hydraulics is an official sales partner for Danfoss Power Solutions (formerly Sauer Danfoss). Neilson Hydraulics supplies Danfoss PVG 32 Proportional Valve Components, including Danfoss Inlet Sections, Danfoss Valve Bodies & Covers, Danfoss Solenoids (Danfoss PVEA, Danfoss PVEH, Danfoss PVEM & Danfoss PVEO Actuators), Danfoss End Plates, Danfoss Bolt Kits, Danfoss Mechanical Handle Assembly, Danfoss Standard Flow Control Spools, Danfoss Orbital Motors, Danfoss H1 Pumps, Danfoss H1 Motors and Danfoss Series 45 Open Circuit Axial Piston Pumps. We have been a Danfoss Distributer in the UK for over 30 years and have excellent technical knowledge of the range. Today’s vehicles need more effective systems that maximize the use of available engine power. To improve overall efficiency, Danfoss H1 Pumps are designed to reduce rotating group, control and charge pump losses, which helps save fuel, frees power for other vehicle functions and enhances operating performance and productivity. Furthermore, Danfoss H1 Bent Axis Motors have a six percent efficiency gain at maximum displacement (high torque working cycle), compared to comparable products on the market. Better efficiency means you can use smaller engines on some vehicles, reduce heat load and increase power to the ground. Danfoss H1 Pumps are designed to improve vehicle operation. With proven 32 degree bent axis technology, zero degree capability and higher overall efficiency, Danfoss H1 Bent Axis Motors also offer significant advantages.The Danfoss H1 propel system provides improved horsepower management, and enables advanced anti-slip or wheel-assist control functions. Danfoss H1 systems can also be optimized to match the requirements of specific vehicle functions. By adjusting software parameter settings, you can offer a range of vehicle control concepts using the same hardware. Danfoss’s new H1 Automotive Control (H1 AC) is an innovative SIL 2 certified solution (Safety Integrity Level 2 according to IEC 61508), that helps reduce vehicle development and qualification expenses. Using intelligent software, the characteristics of the hydrostatic transmission can be adjusted to suit specific operating requirements. Combining state-of-the-art technology and 25 years of electronic automotive control development, Danfoss H1 AC not only helps increase vehicle performance and efficiency, but also provides improvements in productivity and comfort. Danfoss H1 Pumps & Motors are part of Danfoss Power Solutions (formerly Sauer Danfoss). The breather is outfitted with an expansion chamber to isolate lubricants from all levels of ambient humidity. 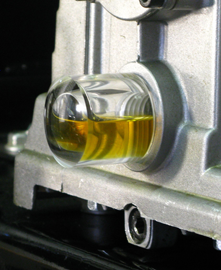 A clear, rugged polycarbonate casing allows for viewing desiccant as it changes color, indicating that the breather should be replaced. Check valves ensure no excess pressure / vacuum builds. Danfoss Series 45 Open Circuit Axial Piston Pumps can be applied with other products in a system to transfer and control hydraulic power. They provide an infinitely variable flow rate between zero and maximum. The pumps are compact, high power-density units, using the axial piston concept in conjunction with a tiltable swashplate to vary the pump displacement. Neilson Hydraulics is a sales partner for Danfoss Power Solutions (formerly Sauer Danfoss). Neilson Hydraulics supplies Danfoss PVG 32 Proportional Valve Components, including Danfoss Inlet Sections, Danfoss Valve Bodies & Covers, Danfoss Solenoids (Danfoss PVEA, Danfoss PVEH, Danfoss PVEM & Danfoss PVEO Actuators), Danfoss End Plates, Danfoss Bolt Kits, Danfoss Mechanical Handle Assembly, Danfoss Standard Flow Control Spools, Danfoss Orbital Motors, Danfoss H1 Pumps, Danfoss H1 Motors, Danfoss Series 45 Open Circuit Axial Piston Pumps and Danfoss Series 90 Pumps. We have been a Danfoss Distributer in the UK for over 30 years and have excellent technical knowledge of the range. 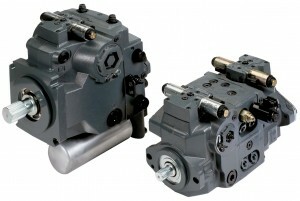 Neilson Hydraulics supplies Danfoss H1 Pumps and Motors. The Danfoss H1 range is built around an advanced electrical control and is available in a wide range of displacements. Working quietly inside, at the heart of the system, H1 will keep your application going – today, tomorrow, a lifetime. Danfoss (formerly Sauer Danfoss) has been developing advanced components and systems for off-highway mobile machinery for more than 40 years. Designed for high and medium power needs. H1 offers higher output speeds, lower input speeds and a reduced total installed lifecycle cost. Danfoss PLUS+1™ Compliant for user-friendly control system development. High power density, a compact, flexible design, and an integral electrohydraulic servo piston assembly that controls the speed and direction of the hydraulic flow. Danfoss H1 Pumps feature common design technologies and assembly techniques. Overall, they offer simpler, high performance designs with fewer parts than previous hydrostatic products. Designed for smaller package sizes, our pumps provide design engineers with more freedom and flexibility in system design. Danfoss H1 pumps reduce rotating group, control and charge pump losses, which saves fuel consumption, frees power for other vehicle functions and enhances operating performance and productivity. Better efficiency means that you can use smaller engines on some machines, while you also reduce machine heat load and increase power to the ground. Danfoss Bent Axis Motors are designed to complement the growing family of Danfoss H1 Axial Piston Pumps. Featuring proven 32 degree bent axis technology, zero degree capability and higher overall efficiency, they offer a number of significant advantages. Danfoss H1 Motors provide significant improvements in overall efficiency. An optimized valve segment and piston design helps improve fuel economy and frees power for other vehicle functions, enhancing operating performance and increasing productivity. A key feature of the Danfoss H1 Motors is their zero degree capability. The ability to seamlessly reduce the angle to zero degrees means there is no torque interruption, or sudden change in speed when switching from, for example, work range to travel range. This enhanced control is not only more precise, but also improves the feel of the system during operation. Oil sight glasses and other visual oil analysis products play a critical role in early detection of contamination and oil level problems, and allow for constant monitoring of what’s happening inside equipment. These products are installed in the drain port of the oil reservoir of pumps, gearboxes, bearing housings, and other pieces of equipment. Visual oil analysis products provide continuous fluid monitoring of the clarity, colour, sediment, and water contamination in the oil. The DES-CASE 3-D BullsEye® is machined from one solid piece of impact-resistant acrylic and allows immediate and accurate visual oil level monitoring from virtually any angle. The inherently stain-resistant acrylic holds up to hydrocarbon and petroleum-based products, hydraulic fluids, most silicone fluids and fuels and lasts longer than traditional viewports. Pumps, Gearboxes, Storage Tanks, Viewport Replacement, etc. Inspect oil and drain water out of your reservoir with the original solution to oil inspection problems. 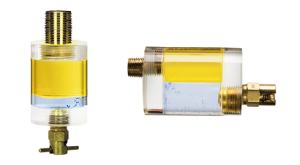 With the DES-CASE Oil Sight Glass (OSG) users have an immediate visual inspection of the oil and the ability to drain any accumulated water. The DES-CASE OSG is installed directly to a drain port located at the bottom of a reservoir or with an elbow for drain ports located on the side of the equipment. The spring loaded drain valve is utilised to purge any accumulated water. Any sediment or particles in the lubricating fluid will migrate to the DES-CASE OSG where, upon inspection, the user can determine the appropriate action. Pumps, Gearboxes, Storage Tanks, Fluid-Lubricated Machinery, etc. Neilson Hydraulics specialises in designing and manufacturing an extensive range of Hydraulic Power Units. The company has been designing, building, installing and commissioning hydraulic power units for over 30 years, covering a wide range of applications across a variety of sectors. The company manufactures custom-made hydraulic power units than can be built strictly in accordance with client specifications. 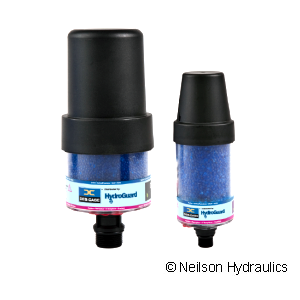 Neilson Hydraulics can provide a complete hydraulic solution from concept to completion. In addition, they can provide repeat hydraulic power units, as well as hydraulic power units for specialist projects. Neilson Hydraulics works in a variety of industry sectors, including oil, gas, petrochemical, marine, offshore, material handling, recycling, agriculture, rail, quarrying, construction, injection moulding, steel, mining and water authority. The company also has strong technical abilities in CAD, SolidWorks, system controls and hydraulic circuit design. 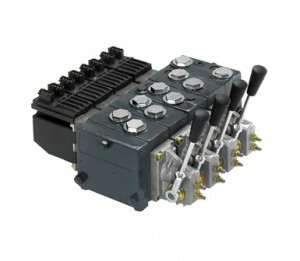 Visit https://www.neilson-hydraulics.co.uk/hydraulic-power-packs.html for more information on Neilson Hydraulics range of Power Units / Power Packs. Neilson Hydraulics is also a sales partner for Danfoss Hydraulics part of Danfoss Power Solutions (formerly Sauer Danfoss) and Bosch Rexroth Hydraulics. 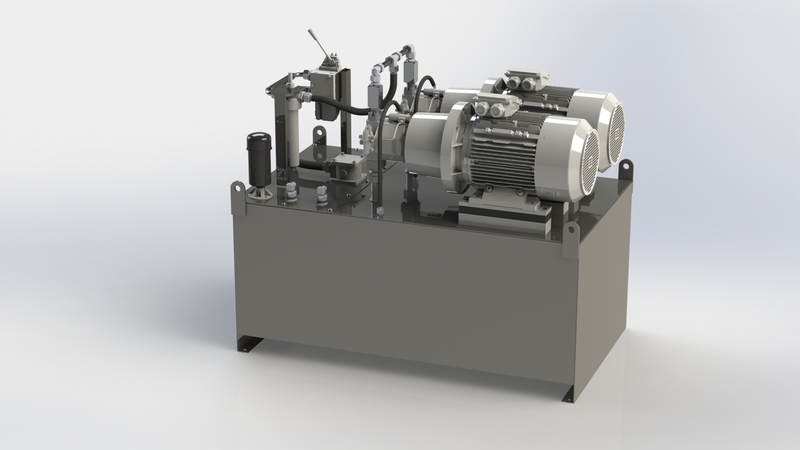 We also distribute SPX Power Team high pressure hydraulic equipment, Des-Case breathers and Eaton Filters (formerly Internormen Filters) and Kleentek oil filtration systems. Oil is the central component of any hydraulic system. Did you know? More than 75% of all problems can be traced back to contaminated oil; therefore oil cleanliness is the most important factor in preventing system failures. 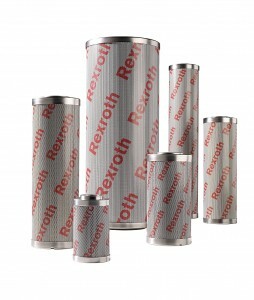 Do you need to replace your Filter Element ASAP, but the original manufacturer is not Bosch Rexroth? We can cross reference your existing part or model number to find the perfect Replacement Filter Element from Bosch Rexroth. Bosch Rexroth offers a complete portfolio consisting of Filters and Filter Elements with the latest technology for highest performance. Covering each application Bosch Rexroth has the right solution for the filtration of hydraulic fluids, lubricants and industrial liquids. Bosch Rexroth’s wide portfolio of Filters ensures optimum operating conditions over the entire lifecycle, thus reducing the total cost of ownership. Bosch Rexroth continually complies with international standards, this opens up the technical advantages of Bosch Rexroth Filter technology for any application, irrespective of the original equipment manufacturer. 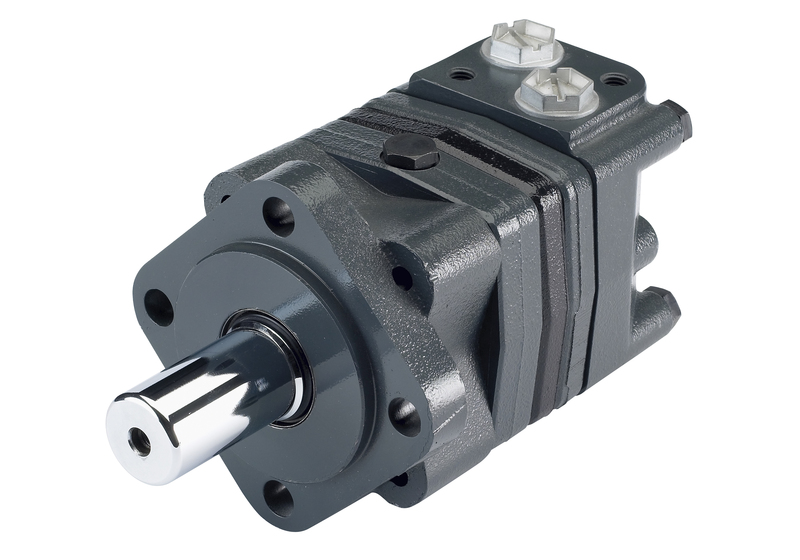 Danfoss offers a wide range of low speed hydraulic motors designed for moderate to heavy load requirements. With the many variants available, it is always possible to find the optimum orbital motor solution for your specific application needs. Danfoss low speed, high-torque motors are used in a wide variety of construction, agricultural, turf care, material handling and forestry applications. They are ideal solutions for both machine propel and work functions. 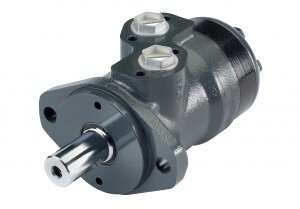 For applications in both open and closed loop hydraulic systems. To view Neilson Hydraulics full range of Danfoss Motors visit: https://www.neilson-hydraulics.co.uk/store/neilson-hydraulics/danfoss-orbital-motors or call the team on 01709 821 002.